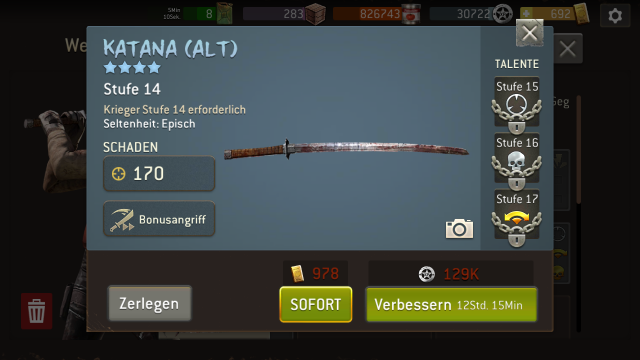 In which weapon would you invest your precious EXP? I think the title says it all. So which weapon would you choose? It would be nice if you could also explain why. Junk the one on the left, upgrade the middle and keep the one on the right as a spare for a second warrior. I agree with @shabba . My epic warrior has a cleaver with the golden Pacman and can do some serious damage to a herd with his two strike ability active. The far right legendary one has the same abilities except a gold skull. 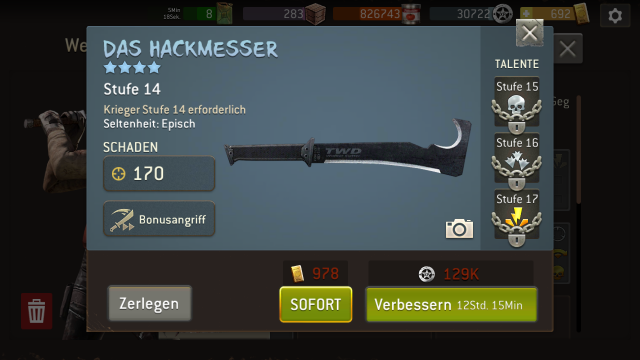 Maxed I believe the damage output would be very close and the legendary cheaper to max out. @FRAQATTAQ Moving to Strategy discussions. Assault Rifles with the "cone" icon are better than the other AR's. Warrior weapons with a wide arc are the best also. it's a toss up for me. 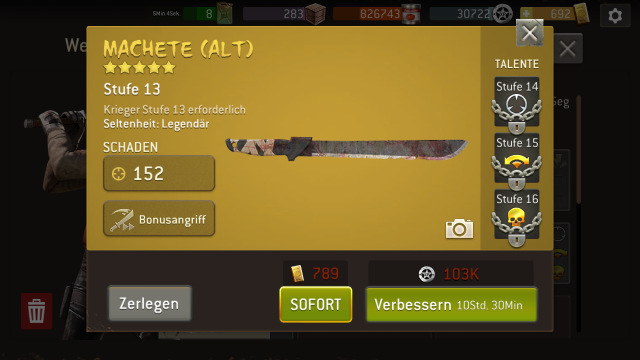 If I really needed this weapon asap, I'd probably go with machete because it will take less time & resources plus the golden arc comes quicker. For the long haul, higher max level & dmg makes sense.